WELCOME HOME...This beautiful COURTYARD VILLA located in Pennbrooke won't last long. 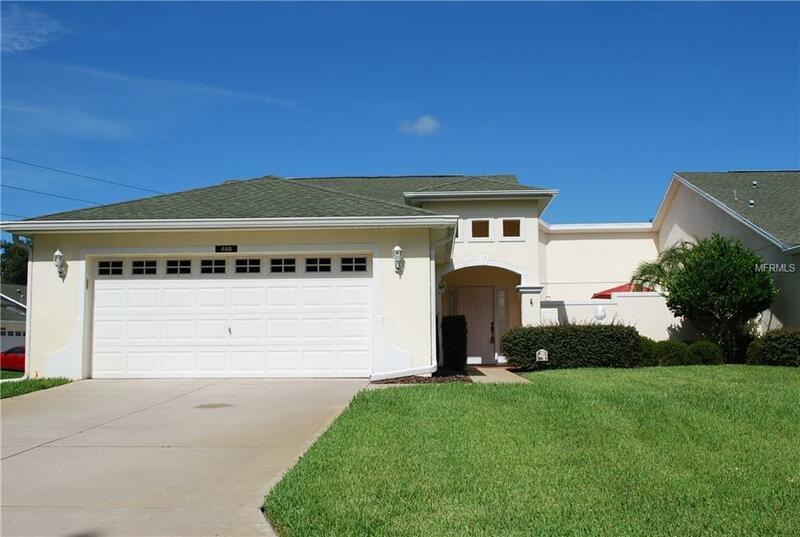 This two bedroom two bath villa features a two car garage and a huge 27 X 30 walled courtyard for privacy. The perfect place to entertain family and friends. The villa has beautiful laminate flooring, new PLANTATION SHUTTERS throughout. The kitchen with wood cabinets and corian counters features new stainless appliances. The master suite is very spacious and connects to the master bath which has a walk in closet, his and her vanities and a walk in shower. Eat at the breakfast bar or the dining room that looks out at the courtyard. The living room has a large sliding door with plantation shutters and is open to the kitchen and dining area. The guest bath with tub is off the guest bedroom. Inside laundry room. Ceiling fans, newer laminate flooring and split bedroom plan. Your monthly maintenance fees provides lawn care, roof, exterior paint, irrigation and termite protection. Pennbrooke is an active, gated community that offers, golf, two pools, an activity center, fitness center, horseshoes, softball, restaurant, RV & Boat storage and so much more. Close to the Villages town square at Brownwood that offers shopping, movie theater and a nearby Publix.